Netflix has released a second trailer for Stranger Things, their self-described love letter to the supernatural movies from the ’80s many of us grew up with. The story begins with a young boy disappearing into thin air and, while everyone is searching to find him, a mysterious girl shows up. From there, things just keep getting, well, stranger. The series comes from Matt Duffner and Ross Duffner (Wayward Pines), and stars Winona Ryder, David Harbour, Finn Wolfhard, Millie Brown, Gaten Matarazzo, Caleb McLaughlin, Noah Schnapp, Natalia Dyer, Cara Buono, Charlie Heaton, and Matthew Modine. You can read more about the show and check out the new trailer below. Netflix has released a trailer for an upcoming series that those who grew up with ’80s supernatural thrillers and science fiction along the lines of the works of Steven Spielberg are likely going to be very excited about. 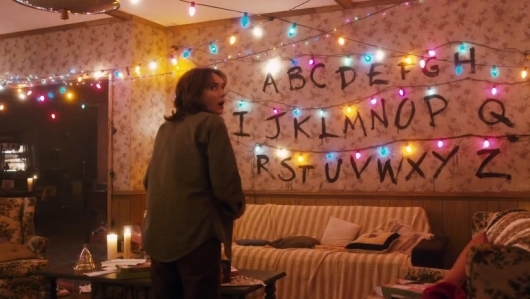 The show is titled Stranger Things, and it definitely has an E.T. the Extra Terrestrial vibe going on. The series tells the story of a town searching for a boy who vanishes without a trace, and the strange girl who shows up out of nowhere. It comes from Wayward Pines writers and producers the Duffner brothers, Matt Duffner and Ross Duffner, who handle writing, directing, and showrunning duties, and executive producers Shawn Levy (Night at the Museum, Real Steel), who also directs episodes, and Dan Cohen (The Spectacular Now, Table 19). Starring is Winona Ryder, David Harbour, Finn Wolfhard, Millie Brown, Gaten Matarazzo, Caleb McLaughlin, Noah Schnapp, Natalia Dyer, Cara Buono, Charlie Heaton, and Matthew Modine. 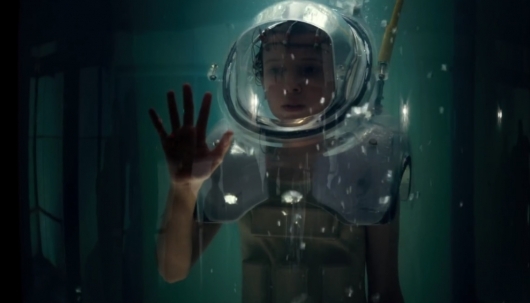 Click on over to the other side to check out the trailer for Stranger Things.